I grew up with the sea at the end of my road. Writing a summer story set on a beach was kind of inevitable. My book The Twice-Lived Summer of Bluebell Jones is set in Penkerry, a fictional Welsh seaside town that borrows from Penarth, Barry, Porthkerry and bits of Pembrokeshire at random. 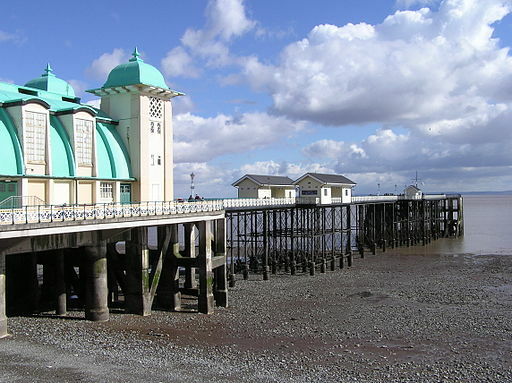 There’s a fairground, and a pier; an island (loosely based on Caldey Island off Tenby); a pebbly beach, and dangerous tides, horror stories about which were drummed into me as a kid. The Twice-Lived Summer of Bluebell Jones: certified harp/goblin-free. So I wanted to write a contemporary story that was firmly set in Wales, even if Penkerry itself isn’t real: the story I would’ve loved to read back then. My relationship with my own Welshness isn’t simple, though. On the train back to Cardiff to see my family I’m always reassured by the old familiar voices and phrases, that sense of coming home – but I also feel a bit of an imposter. I’ve got an English accent these days (unless I’m shouting at the rugby). I’m one of those Welsh traitors that left and never went back. So I decided to use that unease. In the book, Bluebell is on the brink of ‘true’ teenagerness, the sudden blossoming of self-confidence she imagines will arrive automatically with her 13th birthday – wrongly, of course. I made her English (with a Welsh Dad), a visitor for the summer holidays. Her lurking sense of foreignness in a Welsh-accented landscape is yet another worry, one more for the list of ways she fears she’ll never fit in. Luckily for Blue, she meets a bunch of lovely, accepting – and very Welsh – teens at Penkerry funfair, ready and waiting to help her figure herself out. This post is part of the Twice-Lived Summer of Bluebell Jones blog tour. Click here for more info, and for a chance to win a Bluebell Jones-style retro camera enter the Summer Snap! competition. Categories: LGBT, Social/Family, Wales | Tags: Susie Day | Permalink. 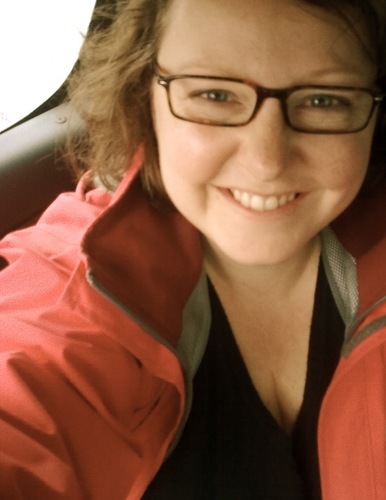 Keris Stainton (i.e. me) picks her fave YA books. In no particular order. Beads, Boys and Bangles by Sophia Bennett – I really enjoyed all the books in the Threads series, but this one is my favourite. Even if you’re not interested in fashion (and I’m not), you’ll enjoy this book. And if you’re a big fan of cheap fashion, you should definitely read it – it may give you something to think about. 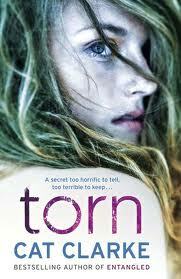 Torn by Cat Clarke – I’m a terrible wuss, so I was a bit scared to read Torn, but I loved it. It’s completely gripping and there’s one bit that still makes me shudder when I think about it. Big Woo! 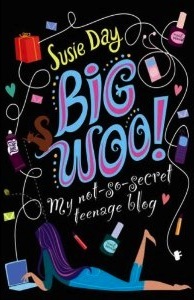 by Susie Day – Big Woo! is one of the funniest YA books I’ve ever read with a completely fabulous, hilarious voice. I don’t think I need to say anything more than that, do I? 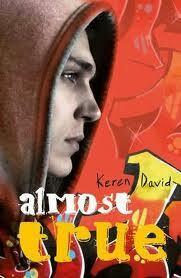 Almost True by Keren David – Again, this is the second book in a series (I loved the first and can’t wait for the third), but it’s my favourite. Gripping, frightening, plus it made me laugh and cry. Wonderful. Nearly Departed by Rook Hastings – I read this book on a train in broad daylight and it really scared me. If I’d read it at home alone during, say, a thunderstorm, I would have been terrified. Having said that, it’s also really funny – it reminded my of Buffy the Vampire Slayer. 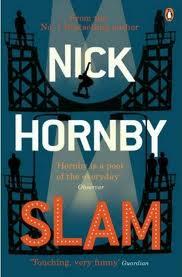 Slam by Nick Hornby – Hornby’s foray into YA is (perhaps unsurprisingly) well-written, funny and incredibly touching with a take on teen pregnancy I haven’t read anywhere else. I wish he’d write more in the genre. Nobody’s Girl by Sarra Manning – I love Manning’s books. I’m reading her latest, Adorkable, at the moment and I suspect that if I’d finished it, it would be on this list too. Nobody’s Girl has a wonderful main character, a hot boy and a Paris setting. Perfect. Shadows on the Moon by Zoe Marriott – I had no idea what to expect from this book – it’s not the kind of thing I usually read – but I was transported. It’s beautifully written and, again, gripping. 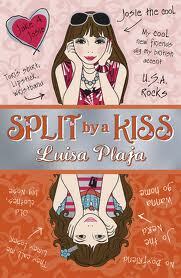 Split By a Kiss by Luisa Plaja – Luisa and I started writing at the same time and were in a writing group together. I read Split By A Kiss in various drafts and knew it was going to be wonderful from the start. I’ve reread it recently and still absolutely love it. Sweet and funny and true. Categories: Top Tens | Tags: Cat Clarke, Keren David, Keris Stainton, Louise Rennison, Luisa Plaja, Nick Hornby, Rook Hastings, Sarra Manning, Sophia Bennett, Susie Day, Zoe Marriott | Permalink. OMG shiny new laptop! Shiny new blog! Behold my interestingness! Serafina67 has a Happiness Deadline, and she’s got everything she needs to turn her life around by April 22nd: a new laptop for capslocky blogging, Crazy Pete the therapist, and the delectable patchworkboy. But her Dad’s marrying a Monster, her best friend’s not so friendly any more, and she’s eaten so many comfort Pringles she looks Pringnant. The clock is ticking. Can LOLs lead the way to happiness, or is life online about to take an unexpected twist? Categories: Humour, Romance, Wales | Tags: Susie Day | Permalink.